If you’ve ever enjoyed afternoon tea at an elegant hotel or B&B, you probably know how delicious lemon curd is with traditional scones, cookies, or biscuits. But maybe you thought lemon curd was difficult to make. It isn’t. And not only is it delicious on scones, cookies, and biscuits, it also makes a tangy filling for cakes, tarts, and pies. Juice the lemon(s) to get 1/2 cup of fresh juice, then grate the outside of the lemon being careful not to get any of the white pith (this can be bitter). Set the juice and the zest aside. Whisk together the egg yolks and sugar in a small stainless steel bowl. Add the zest, then whisk in the lemon juice. Set the bowl over a pot of simmering water and whisk the mixture constantly for about 10 minutes until it thickens. Remove bowl from heat and strain the lemon mixture through a fine sieve into a pretty glass or ceramic container. Cover with plastic wrap. Refrigerate until cool. 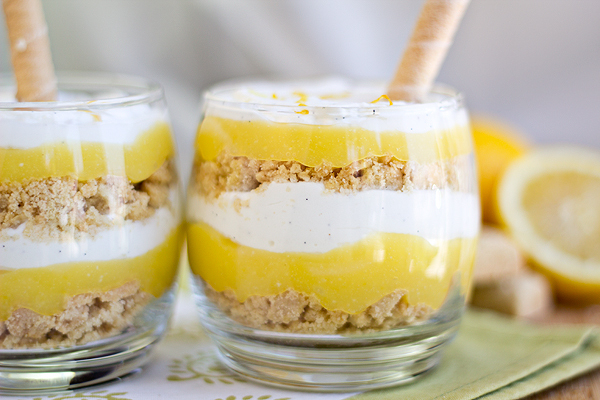 Lemon curd can be stored in the refrigerator for about 2 weeks. Variations: Instead of lemons and lemon juice, use limes or oranges for a tangy lime curd or a sweeter orange curd.